The Starbucks Corporation is an American coffee chain Company that was founded in the city of Seattle, Washington in 1971. Founded by Jerry Baldwin, Gordon Bowker, and Zev Siegel, Starbucks is the largest coffeehouse chain in the world. The company came into existence when three friends, Jerry Baldwin, Gordon Bowker, and Zev Siegel who met at the San Francisco University had a trip to Europe and found there the real way of consuming coffee of the highest quality and took all as inspiration in making the quality and art of coffee of highest level. All the three Starbucks founders were coffee lovers and thus they borrowed money and invested in the opening of the first store. The first store was opened at the streets of the epic Pike Place Market. They sold roasted coffee beans of high quality and flavors and depended on sharing the experience of the best coffee with clients, who were extremely pulled in to the European style of coffee and the lovely smell that the store had. Hence, this place ended up being a great achievement and managed to gain the attention of Howard Schultz who was an accomplished salesperson of a supplier company of the Pike Place store. In 1982, Howard Schultz decided to join the company as Director of Sales and Marketing Operations Schultz after he discovered the extraordinary potential in the company. After joining he tried to convince the company to begin serving drinks and expand their business along with the sale of coffee beans, however, Baldwin and Bowker didn't want to get into the cafe business that served cappuccinos and espressos and only wanted strictly to be involved in the sale of coffee beans. One year later in 1985, Howard Schultz realized that he wouldn't be able to convince Baldwin and Bowker and decided that the best thing was to leave and started his own coffee chain company called "II Giornale", which was successful immediately and was expanded into many cities. However, two years later, the Starbucks executives decided to sell the company and Howard Schultz was quick to respond and eventually purchased Starbucks. He merged his company II Giornale into Starbucks brand and started the expansion of the coffee-chain all through the United States along with the sales of beans, equipment, and other items. From 1987 to 1992 Starbucks opened 161 stores, surpassing the initial objective that had been intended to open just 150 stores in 5 years. In spite of the fact that Schultz had predicted that they would keep on having losses in the early years, Starbucks shockingly began to be profitable in 1990. In 1988, Starbucks decided to give comprehensive medical benefits to every one of its employees. At that time, a benefit what was unique in relation to what the guidelines required and which in truth today still separate Starbucks from other companies of the Americans. A couple of years after the fact, in 1991, the Starbucks Coffee Company presented another new benefit for its employees called the Bean Stock. 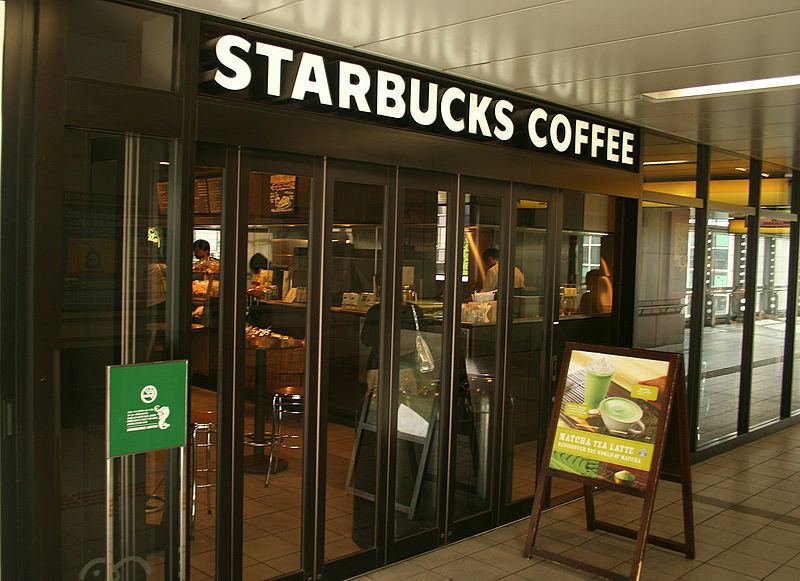 In 1996, Starbucks had in excess of 1,000 stores all through the United States and Canada and also opened its first store through Starbucks Coffee International in Japan. However, in 2008 Jim Donald was dismissed by the shareholders from his post and brought Howard Schultz back in to assume his post as CEO. He hit a letter to all his employees on the day he took charge again as CEO. He said, "The company must shift its focus away from bureaucracy and back to customers." He made his objective very clear: "Reigniting the emotional attachment with customers. "The previous leadership had blamed the economy and the higher cost of dairy products for the slump in business. They had also stated this as a reason to hike prices. However, Schultz had a very different perspective. He told the employees, "The company shouldn't just blame the economy; Starbucks's heavy spending to accommodate its expansion has created a bureaucracy that masked its problems. By the early 21st century, Starbucks made its presence in more than 15 countries across the globe with over 20,000 stores worldwide. As of 2017, the company had 277,000 employees worldwide and as of 2018, Starbucks is present on 6 continents and in 76 countries with over 27,000 locations.